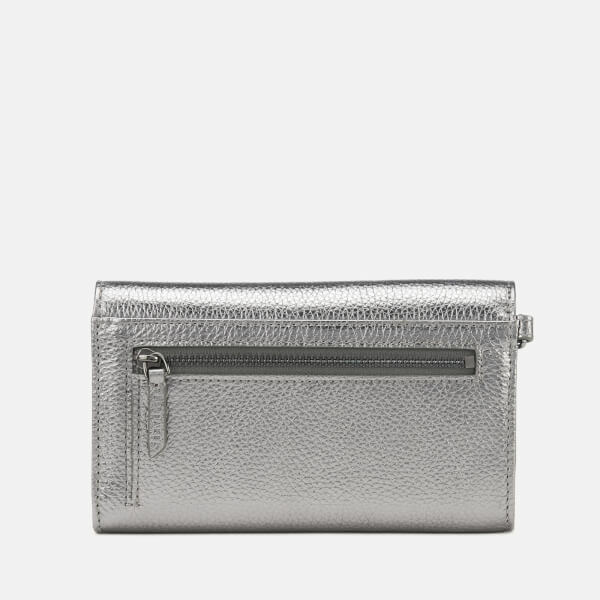 Silver pebbled leather purse. Press stud fasten. 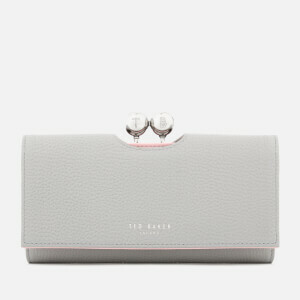 Zipped coin pocket. 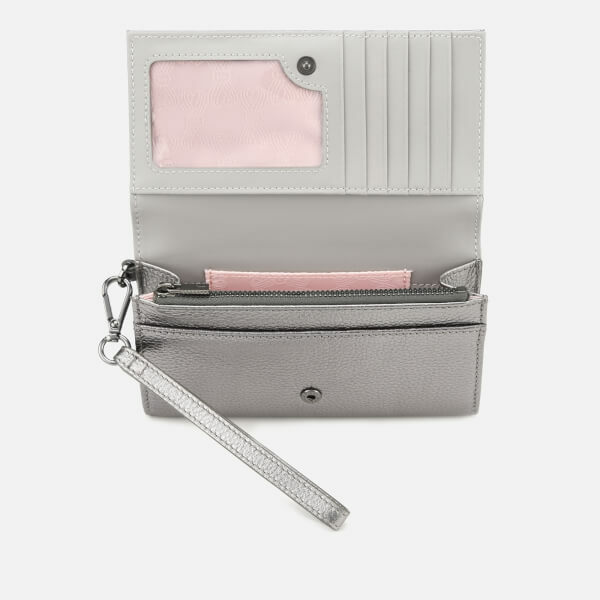 Main compartment with a slip/note compartment, nine card slots and a zipped coin pocket. A transparent ID window is also inside. 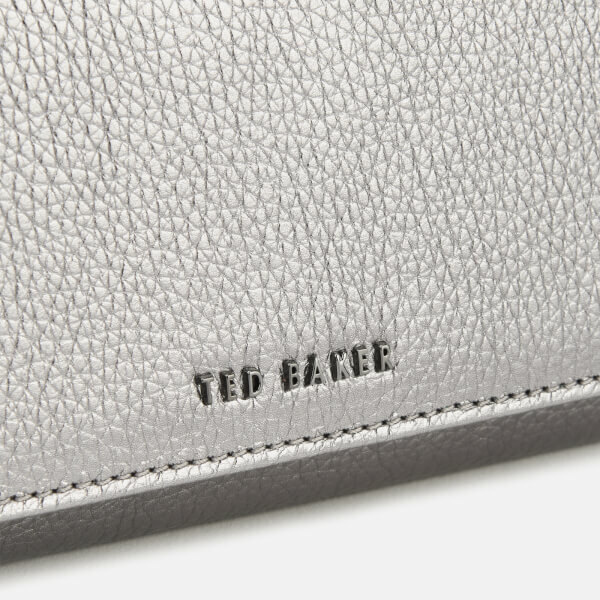 Exterior zip pocket on the rear. 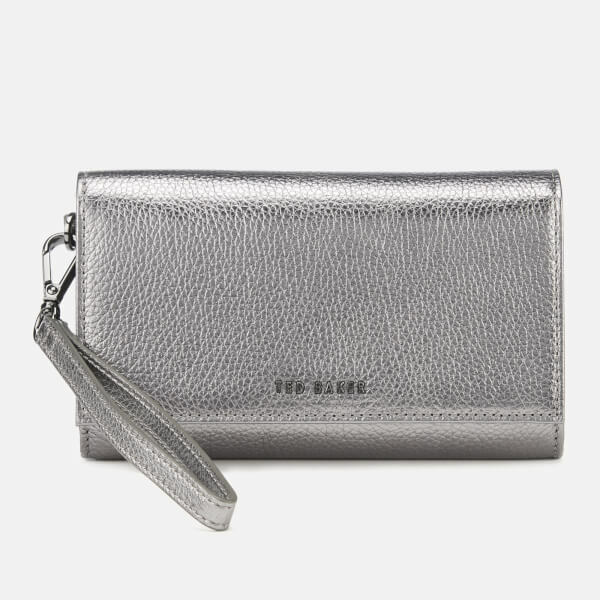 Wristlet strap with detachable clip.